There is a wonderful offer on for selected Nikken Jewellery products while stocks last. 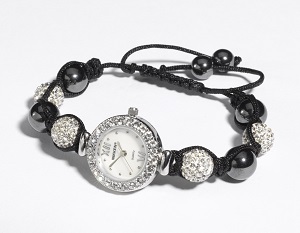 The beautiful ladies watch with magnetic bracelet shown above is 1/2 price at £26 (+ p&p). This offer is available from my online shop at http://nikkenearth.com - please navigate to the bottom of the page and select the featured product or visit the shop now tab / jewellery, to see the full range.